We have a treat for you today! Wendy, at Repeat Impressions, has designed the most beautiful set of stamps! We are hopping today, to showcase all of the new images! We have all been assigned a letter. As you hop today, you will collect a letter from each blog to form a word. After you collect all of the letters that you need to form the correct word, email that word to Wendy to be eligible for the blog candy. You will need to complete the hop, and email the correct word to Wendy no later than 5 p.m. eastern time, on Sunday, June 3rd. What is the blog candy for this hop??? The lucky winner will receive an unmounted sheet of the entire new Beautiful Days stamp collection, of course!!! If you don't win the stamps, you can purchase them at the Repeat Impressions store! 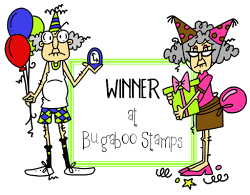 On Monday June 4th, Wendy will post the Stamp of the Week regular feature, and announce the winner of the hop on Repeat's blog, The House That Stamps Built. I know that you must all be rolling your eyes, as once again, I'm using these AMuse polka dots, but, oh my stars, aren't they yummyliscious??? Each color is so beautiful, and the cardstock is WHITE on the back side! What an easy card base! Thanks for looking! 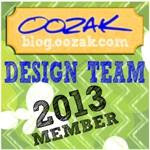 Hop along to my fabulous teamies to see what gorgeous eye candy they have waiting for you! Oh....by the way - MY LETTER IS 'S'. Have fun, and good luck! Hi friends! 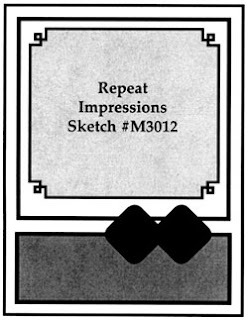 As it's Wednesday, it is time for a new Repeat Impressions Sketch Challenge. 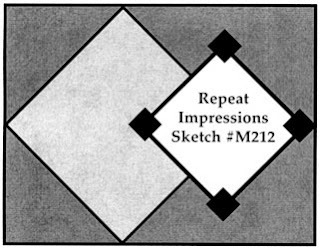 The sketch, shown below, is fun and easy to create with. I chose to use "My Sunshine" (8402W) on my card. I have been waiting for just the right opportunity to use this stamp. When I was growing up, my mom used to spend long periods of time brushing knots out of my 'oh-so-thick' hair, and would sing this song to me to keep my mind off of the tangles. The Echo Park papers were a perfect companion for this happy stamp! Thanks, Wendy, for the memories. Sketch to follow this week!!! I hope to see all of you participate in the challenge at the Repeat Impressions blog, The House that Stamps Built. We'd love to see your take on the sketch! Repeat's stamps do not have to be used, so don't let that stop you! If you have them, we'd love to see them, but they are not required. Full challenge deets are on the blog - check it out, and get that card linked up - you could win some Repeat Impressions goodness!!! Please be sure to visit my DT family to see what beautiful things they have to share with you today! Kecia, our fellow member, could not participate this week due to family emergency. She could certainly use some thoughts and prayers, today especially, if you'd like to pop by her blog and offer some. Her DH suffered a very serious heart attack, and must undergo surgery. Thanks in advance for your kind words or unspoken thoughts. Have a great day - mine is full again with a road trip, and a bit of grocery shopping, but I'll be dropping in on you tonight to see what's shakin' on your blogs! Happy Monday - to read my Memorial Day post, please scroll down. As it's Monday, it's time for a new Stamp of the Week at Repeat Impressions! Today's SOTW is 'Dream, Inspire, Hope' ( ). Supplies: Kraft CS, Madison Window Small Memory Box Die, Dream, Inspire, Hope (3101 W), Butterfly, Small (9009 W), Memento Rich Cocoa Dye Ink, We R Memory Keepers Ribbon, Wooden Button from stash, Baker's Twine (Really Reasonable Ribbon), Stampin' Up Square Lattice Embossing Folder, Basic Grey Magnet. This SOTW will be available exclusively to Repeat Impressions blog readers at 50% off, with the special discount code from Monday, May 28th, through Sunday evening, June 3rd. To get thediscount code, and more information about thie Stamp of the Week, please go to the Repeat Impressions Blog, The House That Stamps Built. Please take a few moments today to think about, thank, and pray for our military; past, present, and future. To read my Memorial Day post, please scroll down. I had certainly not planned on a second post today. However, I realized that I'd never posted my card for the Flourishes Timeless Tuesday challenge, and it's down to the 22 hour countdown! Beate was the hostess for this challenge, and she asked that we use flowers on our projects. I had a lot going on this week, so this card is very clean and simple. And...self-explanatory! If you would like any info, let me know. Otherwise, I will see you back here tomorrow with a Repeat Impressions Stamp of the Week! Tomorrow is the 4th Monday in May - Memorial Day in the U.S.
For many, many years, we have set aside this day to come together as fellow Americans, to honor all of those who have died at war, fighting for our country. However, this weekend, sadly, seems to have become a 'long weekend' to drink lots of beer, eat lots of BBQ, and swim... with very few thoughts of the meaning of Memorial Day. Please take a few moments this weekend to remember why it is that our government blesses us with this long weekend. Tomorrow, DH and I will visit the cemetery, place flags at graves, and remember those that fought for our country, and our freedom. We'll take time to pray for those, like our son-in-law and his fellow troops, that are still putting themselves in danger every single day for our country. I hope that you and your family have had a wonderful weekend together. We hope to fire up the grill ourselves tomorrow afternoon, as we enjoy the last of the weekend together. Think I'm getting to old to be up after midnight! 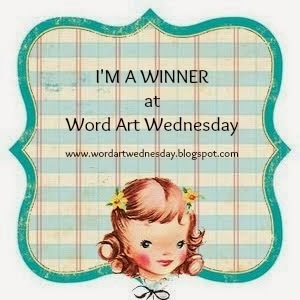 The winner from the Creations by AR Blog Hop from my blog, is: Carolyn Sharkas! Congratulations, Carolyn - you get your choice of the two new templates! Please email Adela, tell her that you are my winner, and let her know what template you would like to have! Thanks for stopping by my blog, Carolyn, hope you will visit often! Have a geat weekend, everyone, and thanks for visiting! Hope you have plans for a nice, relaxing weekend. I'm thinking ours might actually be quiet - looking forward to that! I have a very quick post to share with you today. My card features "Young Love" by Mo Manning. I created this for the challenge (use black and yellow) over at the Stamping Bella Blog. This is my first time to enter, so hope I did everything right - never know about me! Cardstock is all A*Muse, and all coloring is done with Copic Markers. Hmmm...used a few dimensional squares by Recollections (Michaels). Hope it makes you smile - I just love this cute little couple! Guess I'm going to have to add some Stamping Bella stamps to my wish list! Next up - you know that I don't often 'brag' when I am lucky enough to have a publication. Sorry, folks - this time, I simply must brag! Several months ago, I saw a publication call for CardMaker Magazine, to create a project using a photograph. Sheesh, I'm such a bad photographer that I thought there was no hope for me. Then I thought about our DD, who is a WONDERFUL photograper, and together, we came up with a beautiful photo of DD's to use. So...I submitted my card, with black and white photo, and it was not only accepted, but they asked for another with sepia tones and one with full color. I'm sure by now you are 'getting it'. It's not the publication that is SO exciting, it is the fact that it was a project that came from us both. So, as you are perusing your July CardMaker, check out page 39 quickly, and then turn to pages 66 & 67 to see Melissa's fabulous photograph! Check back tomorrow to see if you are the winner of one of Adela's wonderful templates! Good morning, and welcome to the Creations by AR "Celebrating Fathers" Blog Hop. Thanks for hopping along with us. Adela has chosen to dedicate today's hop to her father, who passed away on May 12th. Hop along to see what our DT has created with Adela's new templates! Don't forget there will be prizes - all you have to to to qualify to win one of our templates is to leave a comment at each blog you visit! Winners will be announced on Saturday, May 26th, by each designer. My first project today features the Comfy Sofa Gift Box. This template will make a single 'recliner' chair, a love seat, or a full sofa. I chose to make a recliner chair. Here is the recliner closed. The remote control, wall photo, and coffee mug were computer generated. Here is the recliner 'reclined'. a yummy treat, gift card, coupon, photo, etc....the possibilities are endless! Next, is a wonderful box, called "Papa's Trunk". One of Adela's dads' most treasured possessions was his Army trunk. In it, he kept his Army uniform, awards, wartime medals (including the Purple Heart), his Bible, and several other priceless items. Sadly, Adela's dad passed away on May 12th. This template, "Papa's Trunk", was inspired by his trunk. Thanks for stopping by! I hope you have enjoyed my projects, and are ready to see what my talented teamies have created! Check back on Saturday to see if you have one one of these templates! It's Wednesday, and time for a new Repeat Impressions Designer's Choice Challenge. Today's hostess is Karen, and she has challenged us to use three elements in our projects: A stamped image, embossing, and a die cut or punch. Supplies: Repeat Impressions 9116-N Air Balloon Cluster, 9104-G Soaring By To Say Hi, Spellbinders Circle Dies, Martha Stewart Border Punch, Quick Kutz Embossing Folder, Amuse Cardstock, Bazzill Basics CS, Offray Ribbon, Stampin' Up! Bashful Blue Ink, Memento Tuxedo Black Ink, Tsukineko Sponge Dauber, Recollections Dimensional Squares, Copic Markers. I'm featuring stamps from the latest Repeat Impressions Release. I've wanted to ink up this Air Balloon Cluster for weeks! What a great image, and one that would work for such a variety of occasions! Hope to see you at Repeat Impressions' Blog, The House that Stamps Built! We would love to see you enter the challenge. All the details are on the blog - if you don't own any RI stamps, it's okay - you can enter whatever you have! If you do use RI stamps, you'll get an extra entry in the challenge drawing! Please send up some extra prayers for her DH. He's in Afghanistan, and is not in a good place. Their area is pretty dangerous, and we are all so prayerful for their safety. Two soldiers lost their lives last Friday. If any of you would like DSIL or DD's mailing addresses, please email me - they are so appreciative of your kindnesses. Those of you who are so faithfully remembering them, I can never thank you enough. Drop me an email (mamagilliam at gmail dot com) with your name, address, etc., and I'll get your teensy giftie right out! Now, dear friends, I checked, and Cheryl W. needs some bloggy love... She's been blogging only a short while, but she's doing a great job, and only has 2 followers! We all remember what that was like. If you have a few minutes, please check out Cheryl's blog, Paper Panacea, and enjoy her pretty creations. Thanks! Thanks for stopping by. I'll be back tomorrow with a bit of something to share. When life gives you lemons....look for Blog Candy! Well hello! Hope you are all doing well, and looking forward to a lovely weekend! Did you ever see an image that just made you go 'awwww'??? Well, when I was at Pixie Dust Studio last week to purchase the sweet little graduation girl, I saw this image and had to have it. Is she not just precious? As you can see, I started with an orchid card base, and carried the orchid throughout the card. Any of you out there that have helped your kids with a lemonade stand are smiling - I just know you are! Bazzill Basics CS, Express It Blend CS, Martha Stewart border punch, cut in half lenthwise, Copic Markers. I've been visiting DD this week, and have not gotten to hop around as often as I'd like. Hopefully, after Monday, I'll be back into a normal routine! In the meantime, how about some Itty Bitty Blog Candy? Now remember, it's Itty Bitty, and I don't have it 'yet', but I can promise it will be fun. You see....DD lives in Colorado, and so does our friend Lee Murphy! Lee is going to come pick me up tomorrow, and we are going to shop (and probably eat someplace very sinful too) 'till we drop! I'm very much looking forward to meeting Lee. It's so much fun to travel and get to meet blogging friends! 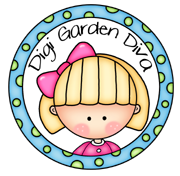 To throw your hat in the ring for the Itty Bitty Blog Candy, just leave a comment on this post. You don't have to jump through a single hoop! Just leave me a comment here. I will draw a name on Monday evening. Good Luck! I probably won't be posting again until next week, but I will try very hard to get by your blogs! It's time for another What If Wednesday Sketch Challenge for Repeat Impressions Stamps! Today's sketch M1612, was fun to work with. I chose to use the Under the Sea Image (2423-L) and the In all Things sentiment (4009-G). Supplies: Bazzill Basics CS, C.C. Cutters Leafy Branch Die, Oval & Oval Scallop Large Spellbinder Dies, Copic Markers, Ribbon from my stash. I made a shadowbox card. Dimensions are 7" x 4.25" (cut 2), and you score in at 1/2" and 1" on both sides of each piece. Simply create your card front, and adhere the sides together. Simple, and it folds flat for mailing! The image is actually on the back side, recessed a full inch back, and you are looking through an oval window. You should try a shadowbox - you will love it! Now, hop on over to the Repeat Impressions Blog, The House That Stamps Built, to see what the other fabulous Rockstars have created with this sketch! We can't wait to see your take on the sketch! Hope you will join us - full details on the blog! You could be the lucky winner of some RI goodness!!! It's Monday, and it's time for another Stamp of the Week at Repeat Impressions! Today, we are showcasing "Persian" (8214-N). Supplies: Persian (8214-N), The Cat's Out (2516-G), My Mind's Eye "Miss Caroline" Designer Paper, Jillibean Soup Corrugated Scalloped Circle, Button and Ribbon from my stash, Copic Markers, Kraft Cardstock. The inside of the card reads "it's your birthday". To find out how you can get this beautiful stamp for 50% off from May 14-May 20, check out the details at The House That Stamps Built, the blog! Don't forget that there is still a Designer's Choice Challenge and a Sketch Challenge happening that you have time to participate in! You could be a lucky winner! Happy Mother's Day to you all. I especially miss my mom on Mother's Day. It was the one day of the year that was set aside just to let her know how special she was. Now, it's a day for my family to shower me with blessings. I am so thankful for a wonderful son, daughter, and husband in my life. I hope that your day has been as richly blessed as mine has! Supplies: Gina K. Designs Pure Luxury White CS, Colorbok Black CS, Gold CS from my stash, Image from Pixie Dust Studio, Copic Markers, White Vision Gel Pen, Perfect Layers Tools, Sentiment from Michael's $1 bin, Tassle from DMC embroidery thread, brad from my stash. I also made another graduation box using the template from Creations by AR. This was just too easy and quick to not get more use out of! Have a great day, and I'll see you back here tomorrow! Sure hope you are ready for some fun! 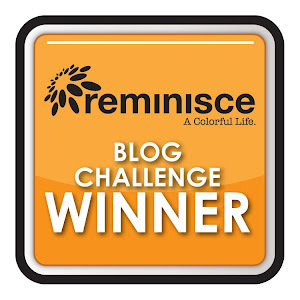 Welcome to the Repeat Impressions Series 9100 Blog Hop! Today, we will be playing a word game... as you hop from blog to blog, we each have a word to share with you. Your mission is to collect all the words, and email them to Wendy. This will make you eligible for the blog candy! AND...if you can also use all of the words that you collect to create the correct phrase, you will have earned TWO chances for the blog candy! My card features the beautiful Corvette (9119-K), and the Sending Smiles Sentiment (9106-G). I've used some yummy A Muse cardstock, Perfect Layers Tools, and Colorbox Chalk Ink, and created the perfect Man-Card! You are going to love the stamps in this series - your masculine cards will flow together in record time! This card took 8 minutes, start to finish! I used my Perfect Layers tools for perfect matting! Now, you must complete the hop, and email Wendy all of the words, and/or the phrase, no later than 5 p.m. ET on Sunday, May 13th. The blog candy for this hop....an unmounted SHEET of the new Big Boys Toys stamps, of course - the whole collection could be yours! You can see this collection here. The winner will be announced on the Repeat blog, on Monday morning, May 14th. Good luck! Now, hurry on to my fabulous fellow Rockstar's, check out their amazing creations, and of course, collect their words! Have fun! 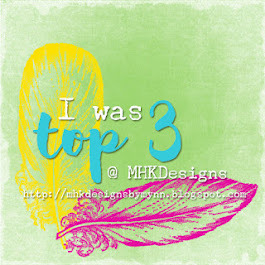 It's Wednesday, and time for a new Repeat Impressions Designer's Choice Challenge at The House that Stamps Built blog! Our challenge hostess today, is Dawn, and she challenged us to create a Double Dutch Fold card. What a fun fold for a card for that special someone! For my card, I chose to use Spring Blossoms (1320-M), and In All Things (4009-G). My Copic markers loved this image! Supplies: Repeat Impressions Stamps (see above), World Win Two Sided Navy Cardstock, My Mind's Eye "Miss Caroline" DP, Judikins Stipple Brush, Tim Holtz Stormy Sky Distress Ink, Spellbinders Labels 18, Martha Stewart Butterfly & Border Punch, Silver Cording, White X-Press It Blend CS, Copic Markers. Inside of card (see the little flaps on each side? We would love to see your take on this challenge! Please visit the Repeat Impressions Blog, The House That Stamps Built, for the challenge details! Be sure to take time to see the amazing creations of my fellow Rock Stars -you can find their links in my sidebar, or on the RI blog! Thanks for stopping by! Be sure to stop back by here tomorrow! We are showcasing one of Wendy's fabulous new Repeat Impressions releases in a blog hop. You won't want to miss these new stamps - they are perfect for that 'special man's' Birthday, Father's Day, Graduation, etc! Romeo and Juliet...and a WINNER! It's a beautiful day in Missouri. A bit warm, but I'm not complaining! DH and I, and some dear friends, spent a day together for DH's birthday yesterday. We drove up to a darling little historical town, Kimmswick, Mo., had a delightful lunch, mile high pie (well I had chocolate turtle cheesecake :), then a quick trip into a nearby mall to take back some 'too small' (ugh) clothing. We always enjoy time with our friends! I have a cute card to show today. It was a lot of fun to color. The image is from Impression-Obsession. It is H11019 - Romeo & Juliet. What a sweet image! I am entering this the the Impression Obsession challenge - Summer Celebrations. If you have any IO stamps, you still have a bit of time to enter their challenge! Some lucky random winner will win som IO money to shop with! SO.....Speaking of money to shop with. It's time to name the winner of my Itty Bitty Blog Candy! The lucky winner, drawn randomly, is: Sue Drees! I am so excited that Sue's name was drawn. We have followed each others' blogs for a long time, and Sue has been a lifeline to our dear daughter since her DH's deployment. It's so nice to be able to send her some goodness in return! Drop me an email, and I will give you a gift card code to use at Repeat Impressions! Thank you all for stopping by, and for being such good friends! Robert Byrne once said, "The purpose of life, is a life of purpose". Wow, that's a good one! Sometimes, I wonder what my purpose has been. I like to think that during my many years working for the school system, that I made a difference to some of the students. I hope that over the years, I've been a good parent and a good Christian, and served a purpose there. In my crafting role, I hope that I've been a good cheerleader to long-time crafters, and a good mentor to new crafters! Do you know what YOUR purpose in life has been? Happy Birthday to my DH! For my Fredericktown Missouri readers, Happy Azalea Festival Weekend! Shirley brought the stamps, and I think they were all Inkadinkado. I used the cute green gingham cardstock from A Muse to stamp on. You may have to enlarge the photo to see the checks. The inks are all Tim Holtz Distress Inks. I think my lady will like it! I'm entering this in the Monday - Greeting Card Challenge at Outlawz (Mother's Day Card, or For a Girl Card with sentiment on front). Hope you are having a wonderful weekend, so far! Don't forget - I still have BLOG CANDY!!!! Drawing will be sometime tomorrow, after church, and before bedtime...lol. Off to take my DH for his mile high birthday pie!!! I promised you some big news, so here it is...I'm a Rock Star! "The House That Stamps Built". Supplies: Repeat Impressions Image #708-K, Rebecca, Repeat Impressions Sentiment #8616-E, Happy Moments, Repeat Impressions Image #102-F, Dragonfly, Copic Markers E00, E21, E31, E15, V12, V15, V95, C1, B01, Gina K. Designs Pure Luxury White CS, Scrap of black & scrap of purple CS., Perfect Layers Tools, Bling from the Michael's $1 bin. I won't bore you with the details - this card is pretty self explanatory! Head on over the The House That Stamps Built Blog, and see what the rest of the Rock Stars have created with this great sketch... We'd love to see YOUR take on the sketch, and you might win some awesome stamps! Repeat Impressions Stamps do not have to be used, but we'd love to see them if you have them...AND you will get an extra entry in the random drawing if you use a RI image! Now, I promised you some blog candy! I hit my 700th post over the weekend, and that alone was worth celebrating. Now I'm a member of this amazing DT, so some yummy candy is in order! Just leave a comment on THIS post, and let me know that you'd like to win! I'll draw a winner on Sunday, May 6th. The lucky winner will receive a $20 gift card to shop for some new stamps at Repeat Impressions!!! Good morning! How in the world did it get to be Tuesday already? Sheesh! So, what did I use from 'around the house'??? Yesterday morning's coffee filter! Yup! Rinsed it off, let it dry, inked a few colors of distress ink and spritzed. Let it dry again, trimmed a panel for the card front, and used some fabulous Cheery Lynn dies. Two passes through my Cuttlebug and a few dots of glue...and voila! Added a few Kaiser Crafts pearls and a sentiment from Hero Arts Classic Messages. I think it turned out pretty nice. Am going to send it to my chemo lady - I think she'll like it! I'm entering this in the challenge this week at Cheery Lynn as well. The theme is Flowers. I've used Cheery Lynn's Miniature Rose, Exotic Butterfly Mini, and Fanciful Flourish Dies on my card. Hope you enjoy it - thanks so much for stopping by! DH spent a couple of hours last night tracking down supplies, and building me a light tent frame! What a wonderful 'keeper' he is :) I'm going to get some sheets, and we'll try hooking up the lights and give it a try in the next day or so...wish me luck! Can't wait to see if it makes a difference in my not-so-great photos. Be sure to drop back by tomorrow. I have some BIG NEWS to share, and will be posting some blog candy for my faithful followers, to celebrate my BIG NEWS and 700th post!! !